In the decades prior to the '60s. folk music had become identified with sociopolitical commentary through the work of such avatars as Woody Guthrie, The Weavers and Pete Seeger. However, the idiom was forced underground during the Senator Joe McCarthy witch-hunting era of the mid '50s. New York's Greenwich Village marked the lone vibrant enclave at the time. with the only faint commercial flicker coming from voices such as Harry Belafonte. In the late '50s a spontaneous renaissance began. The radio started playing music by groups such as The Kingston Trio, The Limeliters. The Brothers Four, and The Highwaymen. Tiny clubs in the Village hosted aspinng young (less commercial) singers such as Eric Von Schmidt, Dave Van Ronk. and Ramblin' Jack Elliott (and standup artists such as Mort Sahl and Lenny Bruce). Twenty-year old Robert Zmmerman (aka Bob Dylan) made a pilgrimage from Minnesota to Woody Guthrie's deathbed in January 1961 and then settled into the Village scene. By the time Peter, Paul and Mary arrived, for the majority of America, folk was viewed merely as a side-bar to pop music which employed acoustic instruments. At this critical historic juncture. with the nation still recovering from the McCarthy era, the Civil Rights Movement taking shape, the Cold War heating up and a nascent spirit of activism in the air, Peter Yarrow, Noel "Paul" Stookey and Mary Travers came together to juxtapose these cross currents and thus to reclaim folk's potency as a social, cultural and political force. But few at the time could have realized how fervently and pervasively the group's message of humanity, hope and activism would be embraced. Ina certain way, they became the catalyst for the success of Bob Dylan in the mainstream - and it was Dylan himself who wrote the poem as the sleeve notes to their third album, In the Wind. This essential LP edition includes the trio's second album (Moving), which was originally issued by Warner Bros. and recorded in late 1962. The album got off to a slow start but found its way to number two on the charts and a 99-week run with help from "Puff, the Magic Dragon." a song that Peter Yarrow had written in college. The single rose to number two that spring and became one of the most beloved children's tunes of all time, as well as the trio's passport through any potential controversy. Having expended some of their best material on their debut LP, the trio reached further for songs here, including Paul Stookey's "Big Boat" and Mike Settle's "Settle Down (Goin' Down That Highway)," neither of which clicked as singles, despite rousing vocals on both and some distinctive guitar virtuosity on the former. Other album highlights include the haunting "Pretty Mary," the beautiful "Flora," the startlingly intricate "A Soalin'," and the Woody Guthrie number "This Land Is Your Land." In addition to the original album, this Vinyl Lover's collector's LP includes 2 bonus tracks from the same period: "Autumn to May" and a bracing live re,nterpretation for three interwoven voices of Reverend Gary Davis' original "If I Had My Way" (which is even better than the group's studio record.ng of the same song). Whether The Cruel War dates to the Revolutionary War or the Civil War remains a matter for debate. That it was widely recorded during the Vietnam War is not. 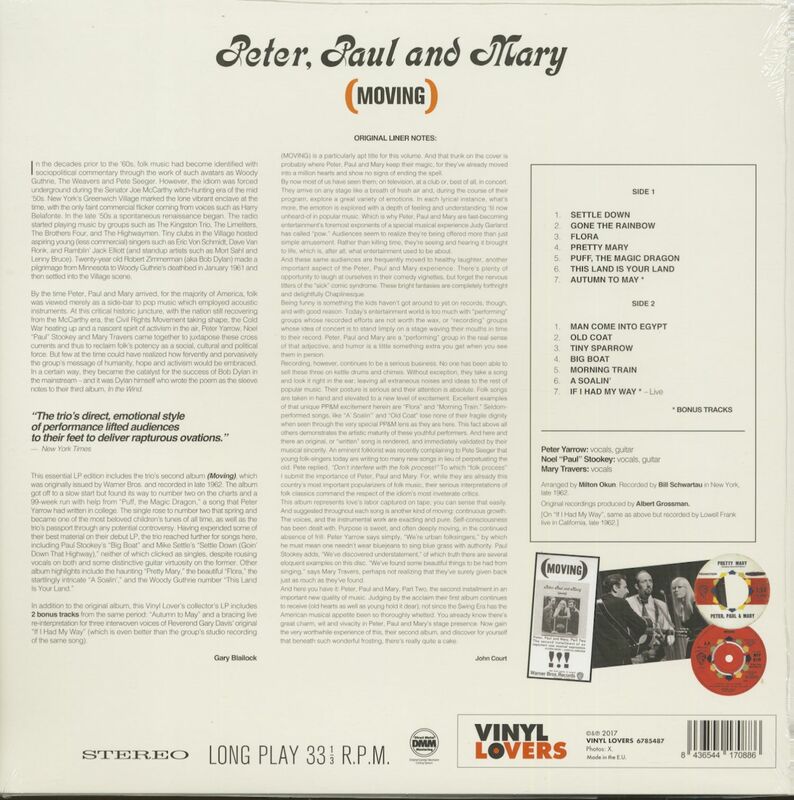 It first came to attention on Peter, Paul & Mary's initial, eponymous album that spent 185 weeks on the charts including five at #1. Along the way the LP sold more than two million units and it could be found in many college dormitories. Peter Yarrow was born on May 31, 1938 in Brooklyn, New York. Paul Stookey was born in Baltimore, Maryland on December 30, 1937. Mary Travers, from Louisville, Kentucky, was born on November 7, 1937 and died on September 16, 2009. They began their career in 1961 at New York's The Bitter End, the Bleecker Street venue that also helped jump start the careers of artists such as Neil Diamond and Billy Joel. As for The Cruel War, PP&M released it twice as a single. It initially appeared as the B-side of Stewball, and in 1966 as the A-side on Warner 5809. The song was also recorded by Cher, The Cowsills and Nancy Sinatra, among others, and Dolly Parton revived it as recently as 2005 on her album, 'Those Were The Days.' 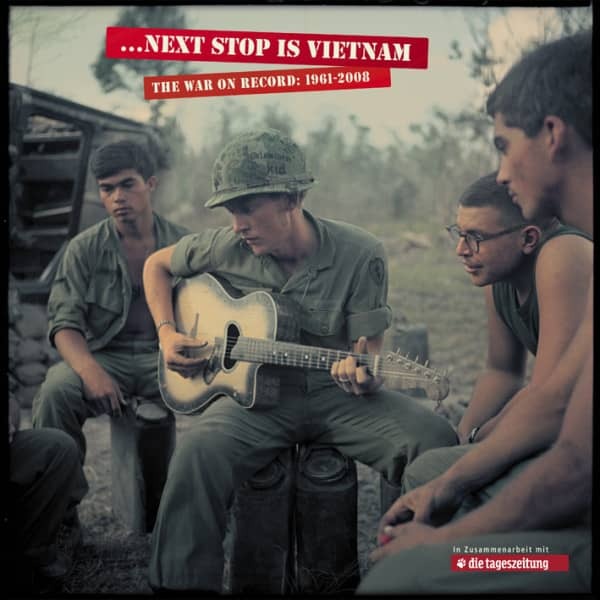 One final note regarding the song is that during the Vietnam War the USO distributed sheet music that rewrote the last verse as follows: "Across the wide country/Around the world tonight/My Johnny is somewhere/Preparing to fight." Customer evaluation for "Moving (LP, 180g Vinyl)"